Clowns are always a bit disturbing but this guy takes the biscuit. If clowns freak you out try wearing this. It might just keep them all away from you. Come to think of it, it might keep everyone away from you. 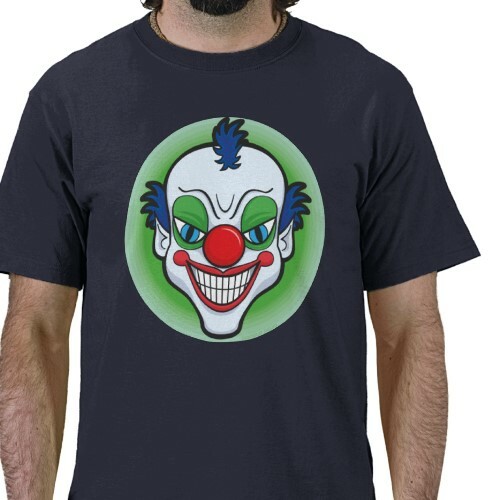 Get yourself a Creepy Clown T-shirt. The Creepy Clown Badge got a Today's Best Award from Zazzle on 5th August 2011.